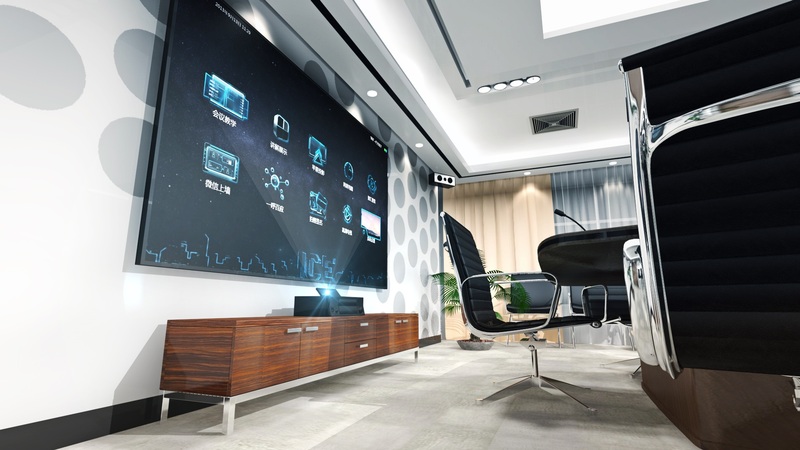 In the majority of conference rooms, the TV display is the focal point of the room and, second to the chairs, the most used function in the room. 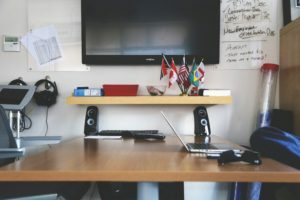 Many businesses install their conference room display, connect them up and turn them on and they’re ready to go. Although this might work in some cases, businesses that adopt this approach are missing out on some potentially serious quality issues. This can cause problems in some meeting rooms as certain colours may not be displayed properly, screen resolution may be off balance and objects may not appear of the screen as they should. For the users of the screen, they may have trouble deciphering what is on the screen which in turn can result in them being inattentive and distracted, leading to miscommunication. To prevent and resolve some of these issues, today we will explore ways for you to optimize your screen for the best possible results. Firstly, before we even turn the screen on, check your screen positioning in comparison to the room. Is it on a wall opposite a window? Is the conference room display being overshadowed by any other objects in the room or is it subject to glare caused by sunlight? This can be achieved by plugging a computer into your screen and using the remote to adjust setting such as brightness, contrast and gamma levels. If using a Windows PC or Mac, you should be able to access your display settings which in turn will open a Wizard, a system process that takes you through a step by step guide on how to make your screen perfect for its viewers. By optimizing your conference room display in this way, you’ll notice sharper colours, clearer image quality and less strain on the eyes. This will result in more attentive and engaged individuals in your meetings, which in turn leads to better results and increased productivity. This is one method that absolutely guarantees comfort and efficiency when working in your conference room. By setting up your screen to work at the best possible angles, users of the screen will feel comfortable when looking at it, minimising strain and discomfort. This can be achieved by positioning the screen at an eye level. This reduces neck strain which would contribute to a viewers discomfort, distracting them from the task at hand and potentially causing muscle damage. It’s highly recommended that viewers should not be viewing the screen at an angle of more than 35 degrees. If you are planning on displaying large amounts of data on screen, numerous client video streams, or both at the same time, it may be worth investing in multiple screens that can be positioned next to each other and connected to the same streaming device. This allows for a wider viewing angle in which content can be displayed clearly and concisely, without the need for screens to feel cluttered or full. This allows members of a conference meeting to view information with ease, without becoming distracted by the other data or streams on the screens, minimizing the risk of miscommunication or misinformation. Before you go out and buy your conference room displays, do you research. It’s all well and good going and buying the cheapest and biggest screen for your room but it may not be the most beneficial. Check your room sizes and distances. You don’t want to purchase a huge screen that fills up one wall and makes the audience and meeting participants feel overpowered and you don’t want to buy a medium or small sized screen that when installed, the conference room display becomes unclear and users cannot read the information without having to get closer or just give up trying to read it altogether. Next PostNext Up Rolling TV Stands: A Conference Room Eye Sore or a Necessity?